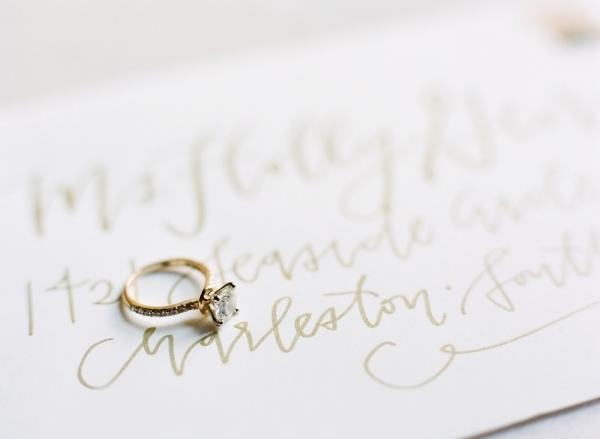 White Dresses, a collection of Southern Bridal Shops, teamed up with Buffy Dekmar Photography for a stunning styled shoot featuring a gorgeous gown from our Alabama Bridal shop. 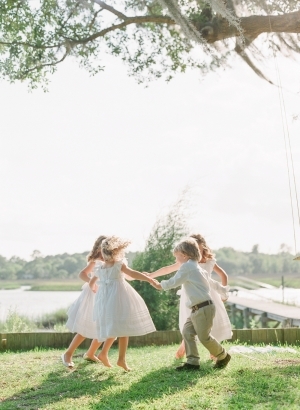 The shoot was set at RiverOaks Charleston in Charleston, South Carolina, and was styled by Kaitlin Holland. 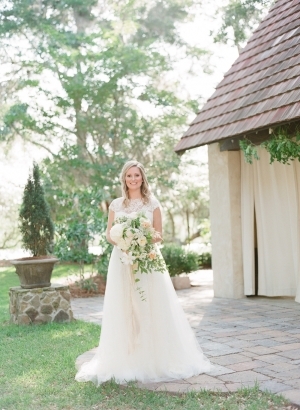 When styling the bride, the shoot sought a ethereal and organic gown that would work well of rate outdoor venue. 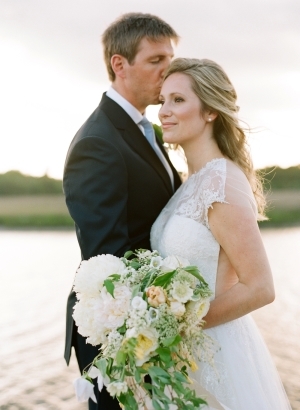 The bride wore a pair of simple pearl stud earrings to accentuate the detailed gown. For florals, Fern Studio chose the most romantic shades of white, ivory, blush, peach, and green - simply stunning florals! White Dresses would like to thank Buffy Dekmar Photography, Kaitlin Holland, and the other vendors involved for allowing us to contribute our small part to the shoot. We feel so honored to be able to share gowns with so many talented creatives! Please check the vendor listing at the bottom of this post to see a full list of vendors involved.